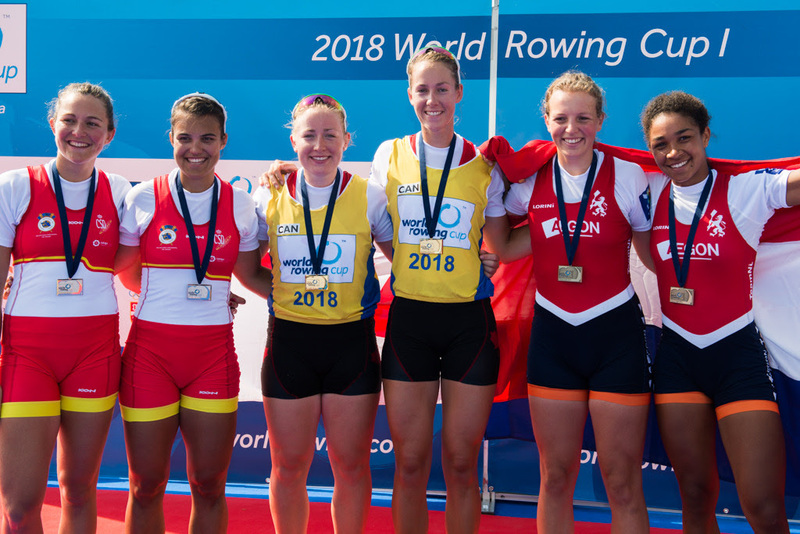 Canadian women’s pair Hillary Janssens and Caileigh Filmer topped the podium today at the World Rowing World Cup 1 in Belgrade, Serbia. Janssens and Filmer set the fastest time by a solid margin in yesterday’s semi-finals with a win (7:25.36) over NED to secure their spot in the A finals today. Starting the day of finals racing, the women’s pair had been narrowed down to these six finalists. The British duo took a very slight early lead off the start but it was Filmer and Janssens who kept their rating higher for longer, squeezing through to the front. The Canadians broke away from the pack with Spain, the Netherlands and Great Britain behind them neck-and-neck. Filmer and Janssens maintained their stroke rate and took the win over Spain with a blazing time of 6:58.88. “We had a good start, we decided to just not hold back for the 1k and get ahead of the other boats,” said Janssens. 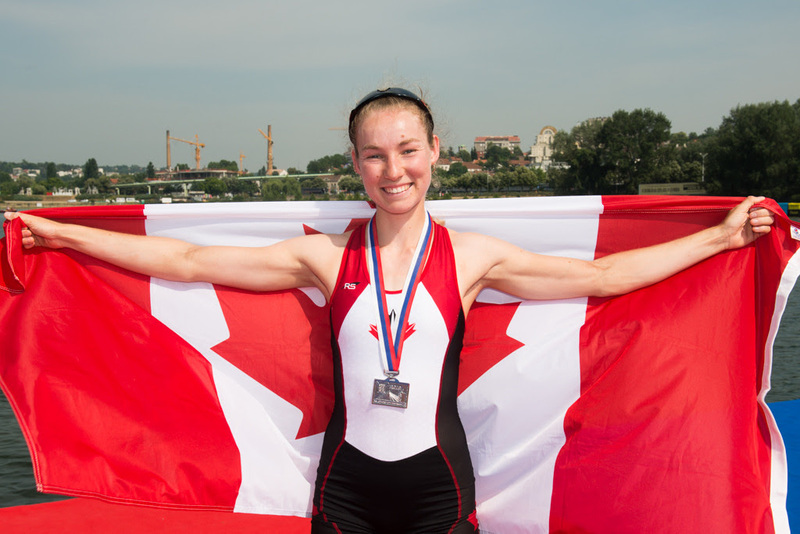 “We’ve had a good training group that is at this regatta and everyone is doing well. We are excited to see what’s to come for the entire Canadian team this year.” This is their first season together with Janssens coming from last year’s silver medal eight. Lightweight double, Jill Moffatt and Jennifer Casson, won the B final today (6:55.88) with a strong showing in the heats and semi finals this weekend. “As a new crew it’s exciting for us to be this close this early in the season,” said Moffatt. Carling Zeeman finished 3rd in the Women’s single B final (7:27.34). Zeeman placed 5th in her semi-final (7:30.10) on Saturday. Matt Buie won the C final in the Men’s single on Saturday by a margin of 6 seconds (7:17.32) over Great Britain. The Men’s four defeated China with a convincing race win in D Final yesterday after making some adjustments following their repechage on Friday. Congratulations to the Canadian World Cup team for a great start to the 2018 season! RCA will announce the FISA World Rowing Cup 3 crews to compete in Lucerne following the June Speed Orders and National Team Selection Trials held in London, Ontario from June 22-24th.